In middle school, my science teacher was a concentration camp survivor. I remember during one of the Jewish holidays she talked about her experience, even rolling up her sleeve to show us the numbers tattooed onto her arm. Then she shared the most amazing honey cake I had ever eaten in my entire life. Years later, I still fantasize about that cake. I've tried other recipes but they never tasted as good as my memories. I decided to adapt a Jewish apple cake recipe I've used for years that was always moist and sweet. I substituted honey for the sugar and added several kinds of spices to add more dimension. 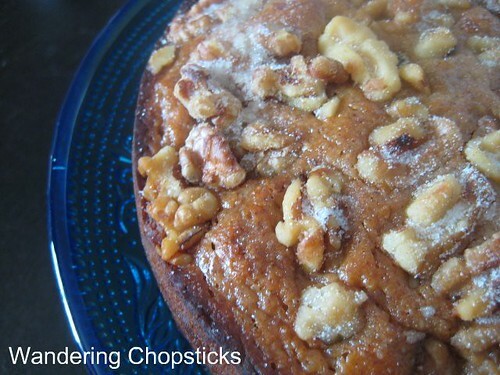 Then because the cake looked so naked, I sprinkled some walnuts and sugar on top. 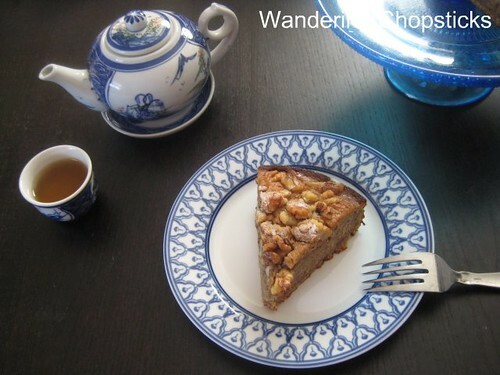 The result was a sweet cake with the loveliest aroma of honey and spices. It makes a great snack for afternoon tea. 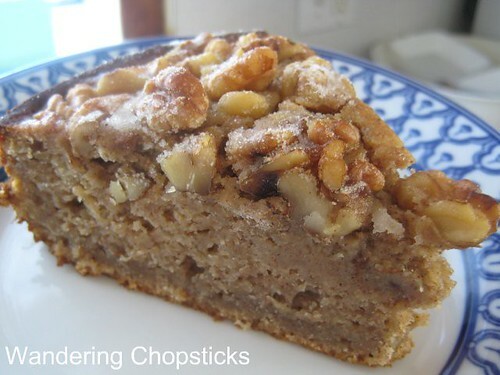 Optional: Walnuts and sugar for topping. I add 8 oz yogurt to make the cake moist, but obviously, omit if you're keeping kosher. Mix 1 1/2 cups all-purpose flour, 2/3 cup honey, 1/2 cup oil, 1 1/2 tsp baking powder, 1/2 tsp baking soda, 1/2 tsp salt, 3 eggs, 1 tsp vanilla extract, 2 tsp ground cinnamon, 1 tsp ground nutmeg, 1 tsp ground ginger, and 1/4 tsp ground cloves. Sprinkle walnuts and some sugar on top if you'd like. Bake at 350 degrees for 45 minutes until a toothpick inserted in the center comes out clean. 1 year ago today, Mellazane alla Parmagiana (Italian Eggplant Parmesan). For a non-Jew, you've got a pretty good looking spice cake going. You're Bubbe would be proud of you. Or mine would...whatever. In any event, now I know what's for dessert this weekend. Thanks for sharing! I can't wait to try this recipe. I think my English mother in law will love it with her afternoon tea. Does that mean you're Jewish reader #4? :) Yes, make it for your grandmother. Tell her you got the recipe from a VNese girl. Haha. I tried the sugar trick on cherry clafoutis and they turned out so nice, I decided to add to the walnuts too. I added the yogurt because my original Jewish apple cake recipe requires 1 cup of oil. Ack! Too much! Ah, afternoon tea is perfectly lovely. I hope you try the recipe. This looks wonderful! I've been craving honey cake too and I just bought a new pot of honey. Years ago, a friend of mine in Hawaii used to make a version of this cake. 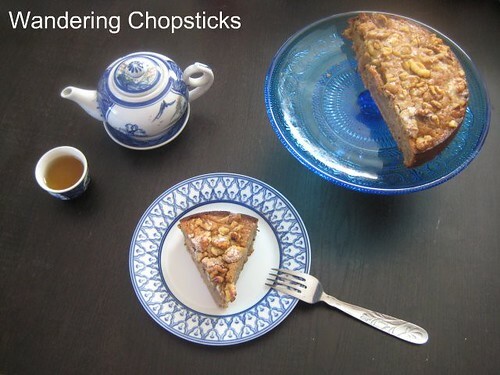 Being true to her local roots, she used macadamia nuts instead of walnuts. You should give it a try. The macadamias add a richer complimentary flavor. I will be making this on the weekend and can hardly wait!